We're big fans of nut butters. I couldn't tell you how many giant tubs of peanut butter we (Mr Minx) goes through during the course of a year. Not only do we eat it straight out of the jar, either on bread or right off the spoon, but we also use it in cooking. Unfortunately, my brother is severely allergic to peanuts and I always have to remember to skip those yummy Asian peanut noodle salads when I'm making party or pot-luck food. Anaphylactic shock is not a good thing. Sometimes I use almond butter, but then I'm disappointed that the flavor isn't quite as rich and nutty as when I use peanut butter. But I found a perfect substitution: sesame butter. Most folks know it as tahini, an essential ingredient in Middle Eastern food, particularly hummus. 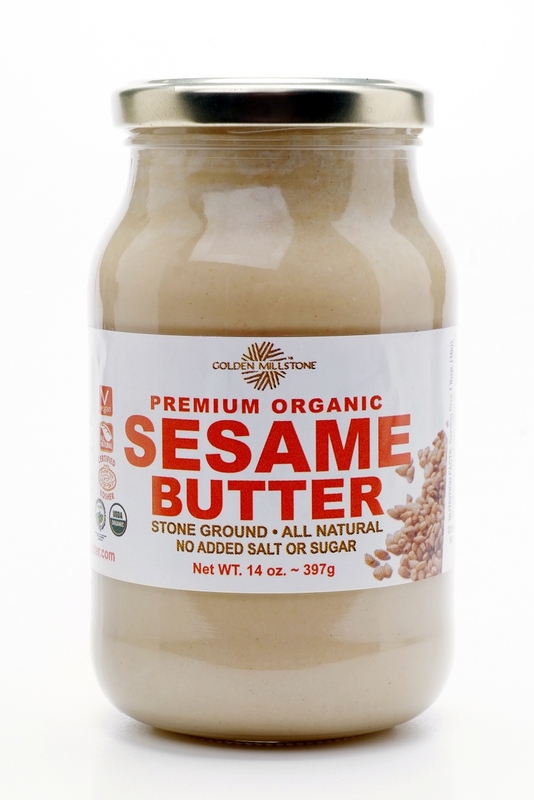 Golden Millstone Sesame Butter is made from organic sesame seeds grown in Ethiopia, crushed using a 90-year-old millstone. It's free of additives and other nuts, and is both delicious and healthy. 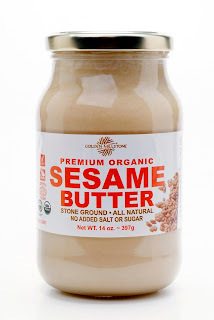 If you'd like to try GM Sesame Butter for yourself, I have an exclusive 40% off discount code for Minxeats readers. Just go to http://sesamebutter.com and enter MINXEATS at checkout to receive your discount. And while you're at the site, check out the recipe section, including this one for Cold Chinese Sesame Noodles.